I’m looking for all Lore-meisters, cartographers, and anyone with an imagination to help flush out the regions surrounding Terrasylvae! 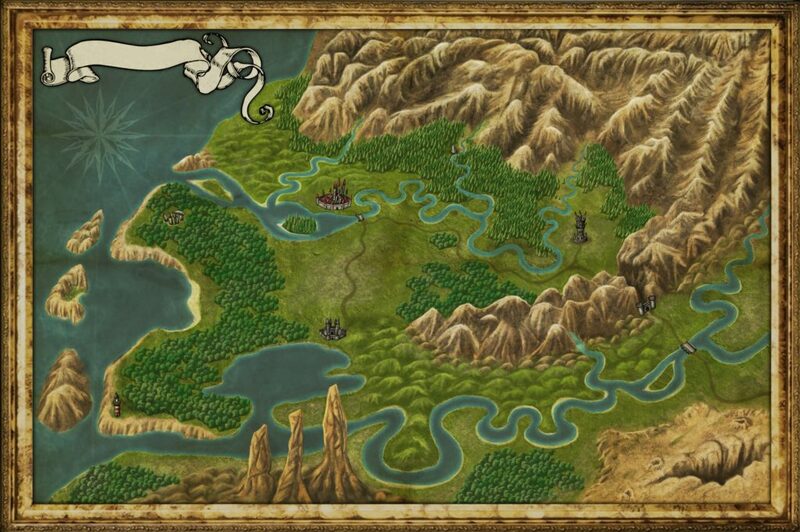 As we develop the Lore of Terrasylvae and the stories that go with it, I thought it would fun to work together on flushing out the details of the region surrounding Terrasylvae. To my limited understanding, this hasn’t been done before by older generations of Terrasylvans and has merely been a word of mouth idea of what’s around our refuge in the woods. My hope is to use your ideas for areas and locations on the map provided below in next week’s Woodland Watch, along with additional stories and scenarios for future Terrasylvae Missions. I’ve left all locations, including the name of the region itself, blank for you to suggest and fill in. I’ve also left in some seed locations that may be used to inspire your imagination. When you have an idea for a location, feel free to submit your idea below or contact me about it. I would love to hear all of your wonderful ideas and I would encourage you to work together with other members to brainstorm and bounce ideas off one another. Most of all, have fun and lets see where your imaginations take us! If you have an idea or a suggestion you want to share, feel free to submit it below and describe your idea. Include things like the location name, where it is on the map, a description, history, etc… You can also upload images or documents from outside sources to help explain your idea.